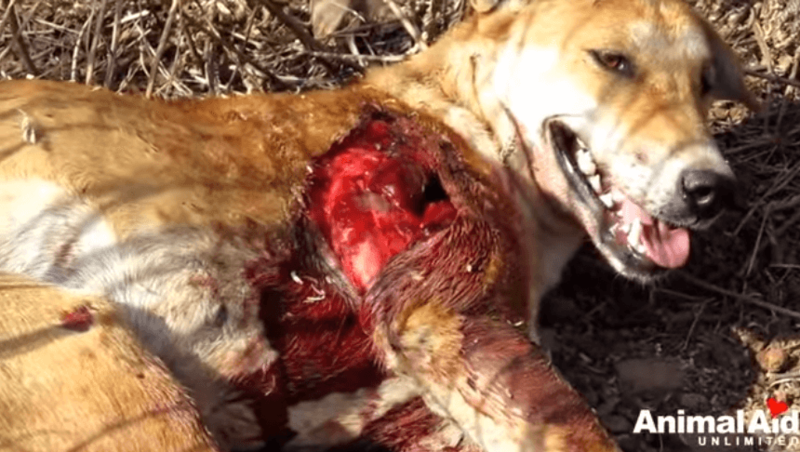 A Dog Hit By Car Had Her Leg Split Open – Watch How Her Angels Came To The Rescue! Stray or homeless dogs face everyday challenges like no other. The emotional pain from the abandonment is just too much to bear, not to mention all the other things they need to go through daily. They need to try hard to look for something to eat, sometimes having to scavenge for food to at least have something in their tummies. They need a source of water to quench their thirst, which will most likely be a dirty puddle somewhere. A cozy enough place to stay during the night would already be a miracle, but they’ll most likely have to endure the hard, very cold or sometimes the super hot dirt floor to rest. They also have to face dangers lurking in the shadows – bigger and meaner animals and human, the hot scorching sun, the wet rain and the cold snow, but also the dangers that exist in the place where they are currently staying. Everywhere they may be, these stray dogs are just as helpless as a baby. Much like a dog rescued by Animal Aid Unlimited India. A brown dog was unlucky enough to be hit by a fast moving car – rendering her badly injured. A Good Samaritan was kind enough to take a little of his time to call the rescue group for help, with the hope that the dog will recover and feel better. When the rescuers arrived at the scene, the dog was found near the highway, resting on its side and was clearly in pain. She struggled to move when the rescuers tried to go near her, the sudden movement causing abrupt pain to shoot wherever she was injured. Her right side was bloody red, soaking her fur. But that was not the most painful thing the rescuers can see. 7 Pet Tigers…Is It Not Enough…Or Too Many…?